Ann (Garrison) Bailey, 77, of Mansfield, died Tuesday October 16, 2018 at Vanderman Place, Willimantic. She met her husband George Bailey 61 years ago in high school and enjoyed 56 years of marriage. 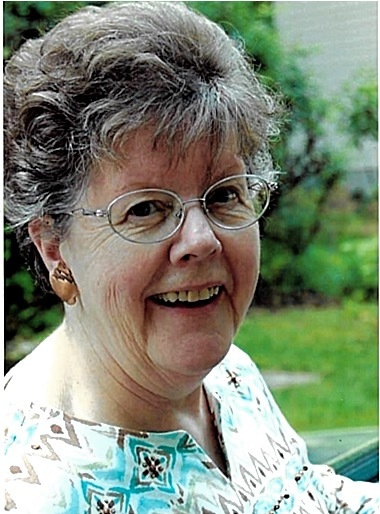 Ann was born in Willimantic, the daughter of the late Marcus and Anita (Potter) Garrison. Ann traveled the United States with George when he worked for the Federal Highway Administration, before settling in Mansfield in 1972. George and Ann enjoyed many interests and activities together, including Community Club, Civil War history, traveling to various New England light houses, and helping with the family maple syrup business. She was a lifelong member of the First Church of Christ in Mansfield Center. Ann was a devoted wife, mother, grandmother and soon to be great grandmother. She loved UCONN basketball, Neil Diamond, anything purple, collecting piggie trinkets, the Royal Family, and most of all, her grandchildren. Her daily life always centered around their activities. She never missed a moment. In addition to her husband, George, she is survived by a son Roger Bailey; two daughters; Jennifer Churchill and her husband Richard and Janna Traber and her husband Matthew; a sister Virginia Frost; five grandchildren, Kelly, Kyle, Rilla, Juliana and Dominic. Ann’s family will receive relatives and friends on Wednesday October 24, 2018 from 5:00pm to 7:00pm at Potter Funeral Home, 456 Jackson St., (Rte. 195) Willimantic. Her funeral service will be held at 11:00 am on Thursday October 25, 2018, at the First Church of Christ in Mansfield Center, 549 Storrs Rd., Mansfield Center, with burial to follow at Mansfield Center Cemetery. In lieu of flowers, the family would ask for memorial donations in her name to the First Church of Christ in Mansfield.